Memory Joggers - awesome web resource! Having difficulty distinguishing hypoplasia from hyperplasia? When you see plasia in any word, think of "plastic." Plastic, in turn, means forming or developing. As for hypo and hyper, that's the easy part. Hypo means under, or below normal. Hyper means excessive, or above normal. Thus, hypoplasia means underdevelopment, and hyperplasia means overdevelopment. A stand-up comedian who gets no laughs might say his audience has humoral immunity. But humor is the latin word for liquid,â€ and humoral immunity comes from elements in the blood â€” specifically, antibodies. contrast this with cellular immunity, which comes about through the actions of t cells. 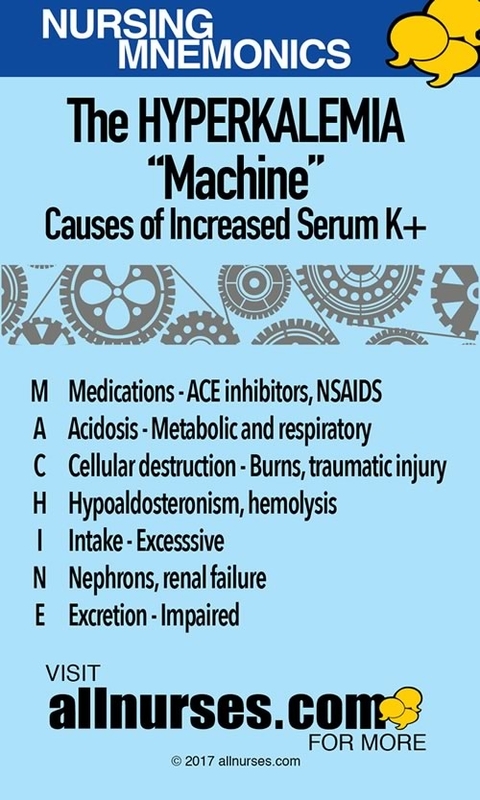 "hook" for serum sickness: each letter stands for a key sign or symptom of serum sickness. For skin biopsy? The 3 different techniques â€” excision, shave, or punch â€” used to secure a skin biopsy specimen. D - Deficit, or lack of water, oxygen, or nutrients. N - Nagging cough or hoarseness. A - symmetry--is the mole irregular in shape? B - Border--is the border irregular, notched, or poorly defined? C - Color--does the color vary (for example, between shades of brown, red, white, blue, or black)? D - Diameter--is the diameter more than 6 mm? princess_g63 works as a RN-OB UNIT. These are very helpful thanks!!! Does anyone have anything helpful about ABGs fluid and electrolytes we have a lot of info covered in a small time on test Tues anything would be appreciated... Have a good one!!!! jgwe4e works as a Peds RN. I'm a first semester nursing student.. Just learned that last week for listening to heart sounds. 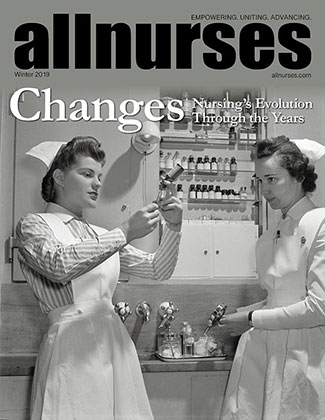 Purpose, Action, Adverse reactions, Safe dose range and Special nursing precautions.